Green issues with the foods and health supplements we enjoy every day. With a new school year on the horizon, many parents are on a quest to find a solid and durable lunchbox for their children, but also want it to meet higher sustainability and environmental standards. 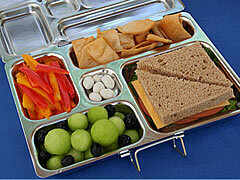 Planetbox does just that, while making it easier then ever to pack kid-friendly, healthy lunches. Made from stainless steel and other non-toxic components, Planetbox is on the fast track to becoming one of this school year’s most Eco-friendly lunch carrying products. As you get fired up for the festivities of summer, keep these 4 food tips top of mind. After all, who wants to be known as the host(ess) who made everyone lose their lunch?